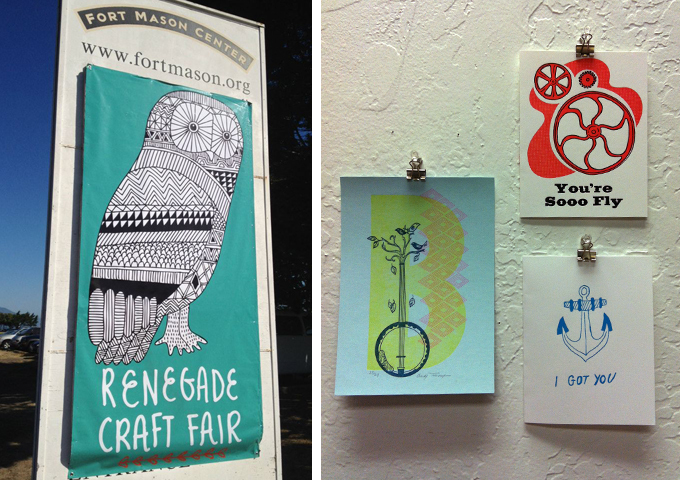 Last weekend, we participated in the first ever Renegade Craft Fair in Seattle! 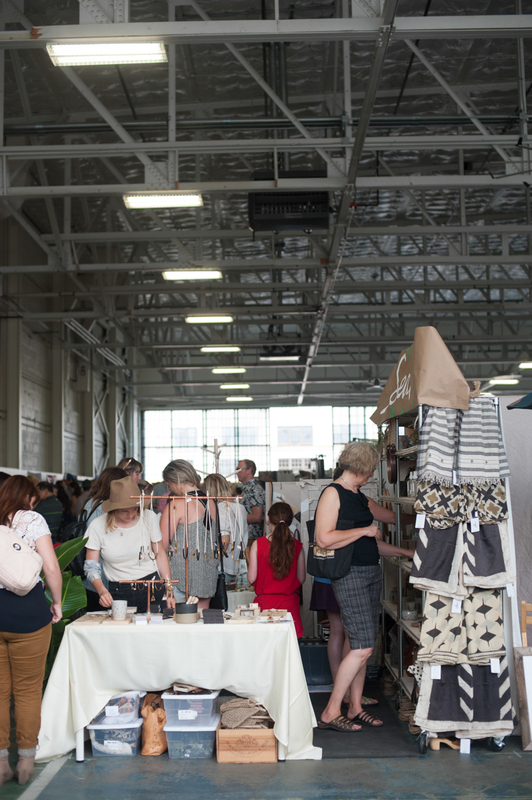 The fair took place at beautiful Magnuson Park in Hangar 30. We packed up the C&Co. line of cards and prints, and set up shop in a 4' x 8' booth. My dad built us an awesome 7.5' tall back wall for displaying art prints and our hand painted logo sign. He also added "kick stands" to our card racks so they could stand alone. The booth was a tight squeeze, but I'm so happy with how it turned out! The fair had an amazing turn out for a first time event. My favorite thing about doing events outside the shop is seeing new faces, hearing new perspectives, and getting our name out there. We even had the opportunity to share wholesale catalogs with awesome local retailers! This is the first craft fair we've done since opening the retail shop. It was awesome to see our vendors in action and scout out some new product for the shop! Renegade does an amazing job curating their shows. The vendors were amazing. It's so inspiring to see so many people in one place, doing the hustle to share what they make with the world! Capitol Hill Candle Co. had a beautiful display, and everything smelled amazing. We have a fresh supply of candles in new scents in the shop. Come by and smell for yourself! Foamy Wader's booth was beautiful and relaxing like a visit to the beach! Her nautical inspired jewelry has been a big hit in the shop. We were blown away by the craftsmanship and colors of Land Bird's ceramics. We're planning to place an order for the shop soon! We are in love with the block print carving / screen printed goods from elSage Designs! Look out for their kids and adult shirts in shop soon! Craft fairs are awesome, but exhausting. You trek all your stuff to another location, set it up, talk to a million people, and stand all day. Three Jerks Jerky provided the pure protein power we needed to keep going. So delicious.